From yardwaste to foodwaste and biosolids, many people use organic materials to make compost to enrich their soil. High quality compost provides organic matter to existing soil and aids plant growth, but it also comes in handy as an alternative to fertilizer for turf management. If you need healthy sports fields, below are reasons to use compost for the project. The organic matter in compost contains vital macro and micro-nutrients that turf needs to grow, including nitrogen, phosphorus, calcium, potassium, and magnesium. To reap all the nutritional benefits, one or two topdressing applications per year will do the trick. This makes it possible to feed the grass without changing the appearance of the field. Unlike fertilizer, compost is natural, sustainable, and provides organically bound nutrients that won’t leach. The wear from players walking and running on the turf and the weight of equipment compacts the soil on sports fields. Working compost into the soil will improve its structure and make it less prone to compaction. Because water and oxygen can easily circulate through the earth, you won’t have to aerate the ground as frequently. This helps save money on maintenance costs, and most importantly works to prevent player injury. After heavy rainfall, some sports fields will see pooling of water. This is because water can’t drain from compacted soils and rests on top of the surface. Compost promotes better drainage in compacted soil and better water retention in sandy ground. If the ground surface isn’t saturated with water, players can begin using the field faster after bad weather subsides. 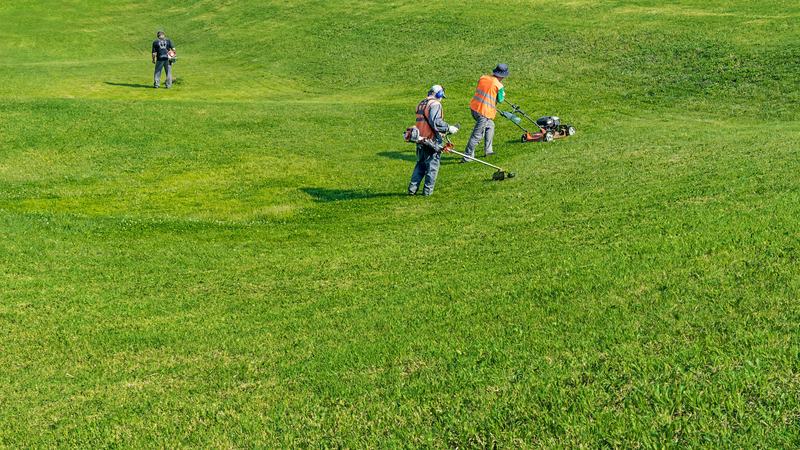 If your college, sports complex, or organization manages turf fields, WeCare Organics has products to keep the grass healthy. Based in West Henrietta, NY, the company is the leading supplier of compost, engineered soils, and other landscaping materials for commercial customers throughout the Northeast. To learn more about the soil amendment products this company carries, call (315) 575-4595. A representative is eager to share additional benefits of using compost. You can also visit them online for merchandise information and keep in touch on Facebook for event announcements.